The Channel Simulator IZT DCS3020 has been specially designed for simulation of bidirectional satellite links. The large processing power of the IZT DCS3020 also supports fading models applicable to terrestrial wireless links. 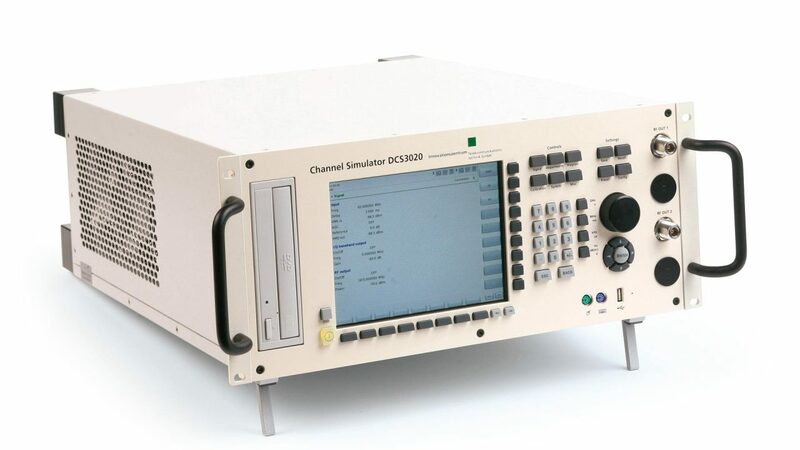 The Channel Simulator IZT DCS3020 is especially suitable for realistic and repeatable simulation of the comparatively very slow fading that occurs when using handheld devices.The IZT DCS3020 is the perfect satellite channel simulator for broadcast services or two-way communication.Satellite links subject the signals to various impairments, for example thermal noise, phase noise, non-linearity, interference, scintillation and fading. The IZT DCS3020 has the capability to simulate these effects for the forward and return link. One typical example for a satellite link is the combination of DVB-S2 for the forward link and DVB-RCS for the return link. The IZT DCS3020 can also be equipped with other channel models to simulate terrestrial channels. This product has been developed in cooperation with Fraunhofer IIS.